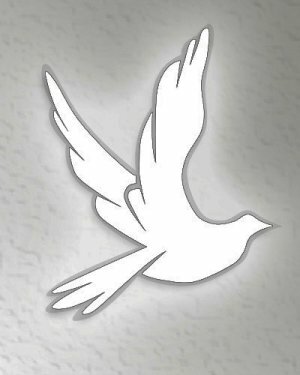 Florence I. Palmer, age 103 formerly of rural McCutchenville, Ohio died at 8:05 A.M., Friday, January 25, 2019 at the Inn at Westbrook, Upper Sandusky, Ohio. She was born on December 21, 1915 in Seneca County, Ohio to Harvey and Bertha (Meyer) Shellhouse. She married G. Kendal Palmer on October 15, 1939 and he died May 10, 1989. Surviving are the following children: Robert A. Palmer, McCutchenville, Ohio, Donald E. Palmer, Olive Branch, Mississippi and Kenneth J. (Patti) Palmer, rural McCutchenville, Ohio. Also surviving are six grandchildren, nine great-grandchildren and seven great-great- grandchildren. She was preceded in death by two sister-in-laws, Joyce Palmer and Lovella Palmer, one great grandchild, one brother, Arthur Shellhouse and two sisters, Doris Simpson and Dorothy Beidelschies. Florence was a homemaker and also helped on the family farm. She also for many years gave piano lessons. She was a member of Trinity United Church of Christ in McCutchenville, Ohio and also was a member of the Come Join Us Sunday School Class. She also was an organist for the former First Presbyterian Church in McCutchenville. She also was the last living classmate of the 1933 Class of McCutchenville High School and also was a former member of the Seneca County Farm Bureau. For hobbies she loved to do jig saw puzzles, crossword puzzles and loved to read and work in her garden in her younger years. She also loved to crochet afghans. Funeral services for Florence will be held on Tuesday, January 29, 2019 at 11:00 A.M. at the Walton-Moore Funeral Home, Sycamore, Ohio. Burial will follow at Bethel Cemetery, Seneca County, Ohio. Visitation will be held on Monday, January 28, 2019 from 5:00-7:00 P.M. at the funeral home.